Are you a fan of James Bond and x ray vision? Think this is science fiction? Think again, augmented reality (AR) places a virtual world in front of a physical object. AR is a term for a live direct or indirect view of a physical real-world environment whose elements are merged with (or augmented by) virtual computer-generated imagery - creating a mixed reality. Tom Caudell, a researcher at aircraft manufacturer Boeing, coined the term “augmented reality” in 1990. He applied the term to a head-mounted digital display that guided workers through assembling electrical wires in aircrafts. The early definition of augmented reality, then, was an intersection between virtual and physical reality, where digital visuals are blended in to the real world to enhance our perceptions. AR is the future in the terms of how tourists engage, view and source information. One of the most popular application’s of AR is Wikitude which presents users with data about their surroundings, nearby landmarks, and other points of interest by overlaying information on the real-time camera view on Google android or Apple’s i phones. Users can even add their own content to share global points of interest – thus creating their content in conjunction with Google maps etc. The use of AR technologies is very important for the future, as the use of the internet is rapidly moving from the PC to the mobile phone. Today, 30% of hotel reservations in Tokyo are booked on the day of arrival via a mobile phone and this trend is growing in many urban destinations. Generation Y are heavy users of mobile technologies and they expect businesses to provide information via this channel. In the near future, you will point your mobile phone at a hotel and information will be displayed on your phone about availability and facilities etc, thus allowing you to make a reservation instantaneously. 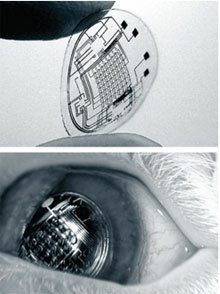 In the medium term, forget mobile phones and think about contact lens. The University of Washington’s Twinkle in Your Eye project is a contact lens with an AR capability – something straight out of the Arnold Schwarzenegger’s Terminator movies in which data is superimposed on a visual field – visual captions that enhance the cyborgs scan of scene. Within ten years we will have a seamless access to information that appears right before our eyes. The use of AR technologies is showcased in New York’s new information centre, where tourists using Google maps can construct a personalised itinerary, book accommodation via Travelocity and subsequently construct a 3-D model of that itinerary using AR application – then download the information to their mobile phone. AR is being used as an interpretation tool in Europe. Dr Daniel Guttentag writing in Tourism Management notes that several Portuguese heritage sites, including the Lisbon National Pantheon and the 12th century Pinhel Castle, have introduced fixed AR devices that are reminiscent of traditional tourist binoculars but display images on a single, larger screen. Through these devices one can access a variety of multimedia explanatory information superimposed over the locations being viewed). In a similar application, researchers with the PRISMA project developed and tested a comparable device that was situated on a hill overlooking the Spanish city of Donostia-San Sebastian. Using the device one can view and select cultural tourist attractions within the city and access a variety of relevant information, including historical information about the sites and practical information about how to visit them. Think AR and think blogs. Basically, point your camera at something and stories will be created in front of you. When you combine AR with facial recognition applications – someone else can point a camera at you and find out everything about you from published information on the internet. Maybe in 2015, Visitor Information Centres will be a thing of the past, but that’s another story.